America, interest rates are going up. The Federal Reserve raised short-term interest rates by a quarter point on Wednesday. It's the Fed's third rate hike since December. And it's a sign that the central bank believes the U.S. economy is on solid ground. "It reflects the progress the economy has made," Fed chair Janet Yellen said at a press conference. In a sign of confidence, the Fed upgraded its forecast for U.S. economic growth and unemployment this year. Rising interest rates eventually affect millions of Americans from home buyers to credit card holders to savers. However, interest rates for mortgages are not expected to rise immediately. The Fed's key interest rate will now hover in a range between 1% and 1.25%. Overall, rates are still very low compared to prior decades. The Fed also said it's planning to start gradually selling off the assets that it had bought during and after the financial crisis to boost the economy. Wall Street investors shouldn't be surprised by the rate hike: They estimated there was a 96% chance that the Fed would raise rates after its two-day meeting. The central bank's decision comes after lots of signs that the U.S. economy is in good shape. The unemployment rate fell to 4.3% in May, its lowest level since 2001. The economy has added jobs for 80 consecutive months. Fed leaders see the unemployment rate remaining at about 4.3% this year and falling to 4.2% in 2018. Fed officials also cut their forecast for inflation, one of the last indicators to really pick up momentum in recent years. They lowered their projection to 1.6% for this year from an estimate of 1.9% in March. "Today's rate increase by the Fed reflects the continued strength and progress of the U.S. economy," said Tony Bedikian, head of global markets at Citizens Bank. Overall, the U.S. has grown at a slow and steady pace since 2009, making it one of the longest periods of growth in American history. The Fed put interest rates at 0% in December 2008 to boost the collapsed housing market and bruised economy. 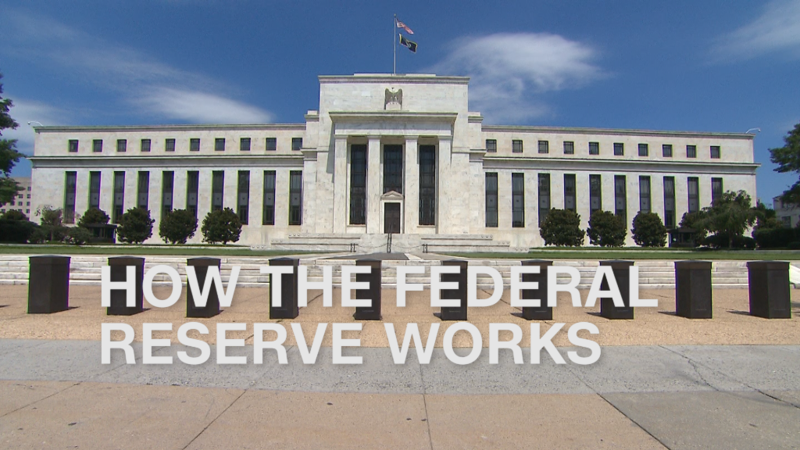 But with the U.S. economy much improved now, it needs less of the Fed's monetary medicine. This has given the Fed confidence to begin selling off some of the $4.5 trillion of holdings it amassed during and after the recession. The Fed plans to initially start selling mortgage-backed securities and Treasuries totaling $10 billion a month. The Fed said this process is expected to begin later this year as long as the economy "evolves broadly as anticipated." The majority of Fed officials see at least one more rate hike this year. They meet again four more times this year -- in July, September, October and December. One question mark facing the Fed this year is the future of Yellen. Her term ends next February, and it's unclear if President Trump will renominate her for a second term. In the past, Trump both praised and criticized Yellen, who said on Wednesday she hasn't spoken to Trump about her future at the Fed. Yellen would not say whether or not she wanted to stay at the Fed for another term. "I really don't have anything for you at this point," Yellen said.